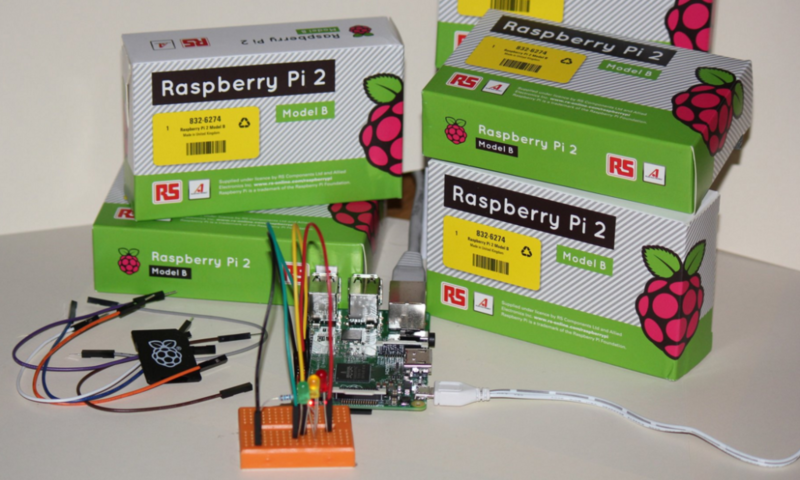 Round 2: Apply to Receive Free Raspberry Pi 2 for your Dojo! Through an existing CSR program with the VM Ware Foundation, we are happy to open applications to get Raspberry Pi kits for your Dojo! The VM Ware Foundation has donated a total of 960 Raspberry Pis to CoderDojo to be distributed to active Dojos around the world! So far we have sent out 480 of these to Dojos around the world! Round two, so if your Dojo has applied and received the Pi kits in Round 1, your Dojo will not be eligible for this round, as we want to ensure that we get as many out to different Dojos as possible. To be eligible Dojos must be registered on the new CoderDojo Community platform ‘Zen’! The CoderDojo Foundation will be distributing the Pis to Dojos in two batches of 480. The Pis will be shipped in batches of 5, 10 or 15 depending on the size of the Dojo that is applying. This second round application will close on 1st May 2016 @ 23:59pm (GMT). *Due to phenomenal demand we are closing this application on the 10th of April 2016 at 23:59 GMT so apply today! * Pi’s will then be shipped throughout May, June & July 2016. You can see how to register on the Platform here. Please read the criteria below before applying. All CoderDojos who apply have to be verified and registered on Zen, the CoderDojo Community Platform. Applications must be made on behalf of a Dojo by the CoderDojo Champion and not for an individual. Each Dojo can only apply once, if your Dojo has received Pis in the first round unfortunately you are not eligible for another pack. This is in place as we would like to get packs out to as many Dojos as possible. The Pis will be shipped in batches of 5, 10 or 15 depending on the size of the Dojo that is applying. Raspberry Pis will be allocated on a first come first serve basis. All CoderDojos who apply have to be verified and registered on Zen, the CoderDojo Community Platform. This is to ensure that a Dojo is active, ensuring that the Pis that go to Dojos will be used. The Raspberry Pi is a credit-card sized computer that plugs into a computer monitor or TV, and uses a standard keyboard and mouse. It is a capable little device that enables people of all ages to explore how computers work and to learn how to program in languages like Scratch and Python. It’s capable of doing everything you’d expect a desktop computer to do, from browsing the internet and playing high-definition video, to making spreadsheets, word-processing, and playing games. What’s more, the Raspberry Pi has the ability to interact with the outside world, and has been used in a wide array of digital maker projects, from music machines and parent detectors to weather stations and tweeting birdhouses with infra-red cameras. On top of this we also have brand new CoderDojo Sushi for Raspberry Pi to help you set up and get working on awesome projects! We have lots of helpful videos that can talk you through setting up and editing your CoderDojos profile on Zen so if you would like to apply for the Raspberry Pis please make sure that you meet the criteria! Don’t hesitate to let us know if you have any questions about Zen or this Raspberry Pi opportunity. I run the hardware lab at Rathfarnham Coderdojo, and I was wondering if there will be a round 3 for raspberry Pi donations. We would really appreciate more hardware resources.